What inspired us was noticing a recent spike in the community of long boarders in the Bay Area, despite there being several other seemingly easier and more convenient modes of transportation, such as biking. As a team, we felt intrigued by the Bay Area longboarding culture and inspired to both explore its allure and to define the role it plays in the lives of everyday users. For our project, we conducted user research surrounding the role played by the longboard as a symbolic product of Bay Area transportation culture. On the surface, our Discussion Guide was useful for leading our research questions during interviews and interactions with the long boarding community. Underneath, however, writing the guide proved to be a successful team analysis activity, giving us an opportunity to reveal any assumptions that we had going into the project and achieve a clearer, common understanding of our goals. Tell me about your longboard. Tell me the story of when you stepped onto a longboard for the very first time. What's the craziest thing that has ever happened with your longboard? 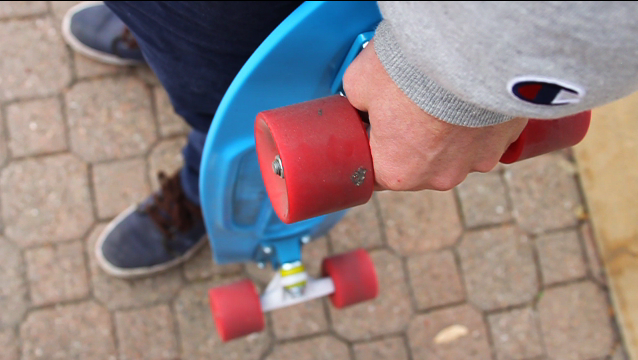 Fill in the blank: "A day without my longboard is __________." How do you feel when you're on a long board? How do you decide when and when not to longboard? What does long boarding mean to you? What does being a 'long boarder' mean to you? What does your longboard mean to you? Enter a store and pretend to buy a long-board. Ask the user to write either a love letter or a break-up letter to his/her longboard. Record users riding their longboards in a way that would strategically demonstrate different riding techniques and capture users' emotions while riding. For example, we would use landscape shots of riders in motion to provide more of a scenic shot and product usage overview. We would also shoot the same material but cut it with a closer frame, such as by including close-ups of the riders’ faces and feet while riding, and the wheels rolling on the pavement, to convey the product usage in much greater detail. One specific shot I felt excited to shoot was a still shot taken from ground level with a shallow depth of field, where a long-boarder rides in and out of the frame, as well as in and out of focus. 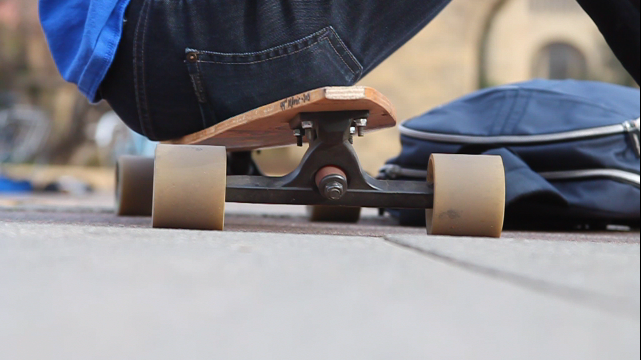 Reveal users’ relationships with their longboards as a product. We had previously heard stories about the joys of customizing longboards by drawing and painting on them, the struggle of choosing an exact type of longboard to buy, the excitement of first riding a longboard, and the pains of the first longboard accident. All of these moments -- painting on, choosing, buying, riding, and falling off of the longboard -- were just a few that we sought to capture for our video, in order to fully encapsulate the experience of owning this product. 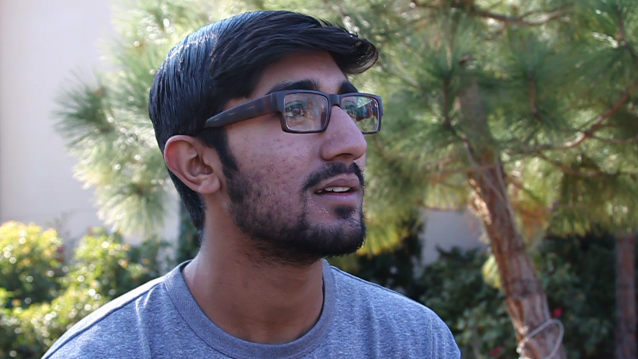 I took close-up shots of our interviewees and intentionally fit their faces into tighter frames than viewers would typically expect, to give the clips a more candid feel. Our team also collaborated on best practices in structuring open-ended questions that would encourage comfortable, honest, casual, and free-form responses. Over a two week span, we conducted hands-on, primary research with users affiliated with the long boarding culture and community. We met the full-time skate-park guru and part-time dad, the manager of the Black Diamond Sports Longboard Shop, and everywhere from the artistic, blasé English major who adamantly refused to "belong to the long boarding community," to the aspiring mechanical engineer who could explain his longboard's every finely tuned shape and curve. All of our interviews shed a new light on the culture surrounding long boarding, whether the long boarder defined him or herself as belonging to that community or not. However, when we circled back to the purpose of our project, to "discover something unexpected regarding the interaction of users and products," the winning story could not have been more clear. I filmed, edited, and produced this 2-minute "Story Video" on Rabbi Ephraim Kamin and his interactions with his longboard, for our team's project. We stumbled across Rabbi Ephraim Kamin largely by chance - one of our team members identified with the Jewish community on campus and was curious to see if there might be a story behind this Rabbi's peculiar interest in long boarding around campus. We met with Rabbi Ephraim Kamin about three times over the course of our research, each time delving even more deeply into his stories. He brings one of the most fascinating perspectives on the integration between culture and his longboard, especially in challenging our initial assumption that there was a pervasive "chill, California culture" surrounding the long boarding community. Unlike most of our other interviewees, Rabbi Kamin does not speak as much to this California lifestyle as much as he does to the way that riding a longboard complements his own religion and culture, unique to his spiritual and religious beliefs. Instead of drawing the long boarding community in parallel with the words "chill" and "Californian," Rabbi Kamin associates long boarding with freedom and power: that to practice Judaism as a Rabbi -- immersed in one the most traditional, religious forms of humanity -- while also connecting with others in the context of the modern world. For Rabbi Kamin, long boarding is not simply a tool for traveling from one physical location to another, but a metaphorical linking point between communities and generations of vastly different cultural mindsets. Longboarding is Rabbi Kamin's means of challenging the assumption of organized religion being grounded in the past, and confronting the intangible "conflict" between the fast, technologically-driven "modern" world, and the surviving community of more reflective, religious beings. Speaking with Rabbi Kamin about the entangled web he draws in his mind and heart, between his hobby of long boarding and his spiritual identity, opened our team's eyes to the incredible depth and complexity of the relationships we build, as users, with our products, sometimes completely unexpectedly.